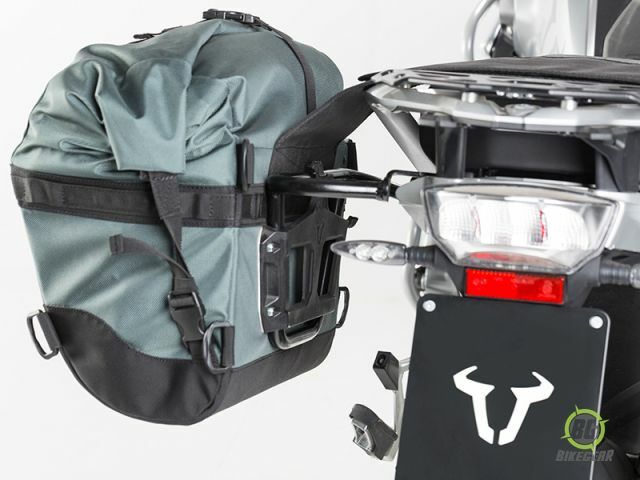 The Dakar BMW soft pannier saddle bags from motorcycle luggage specialists SW Motech are designed specifically for the K 50 BMW R 1200 GS and K 51 Adventure and tough South African off road terrain. Solid, stable, super rugged and lightweight, they are a result of extensive testing and development in extreme riding adventure touring both here in SA and abroad. 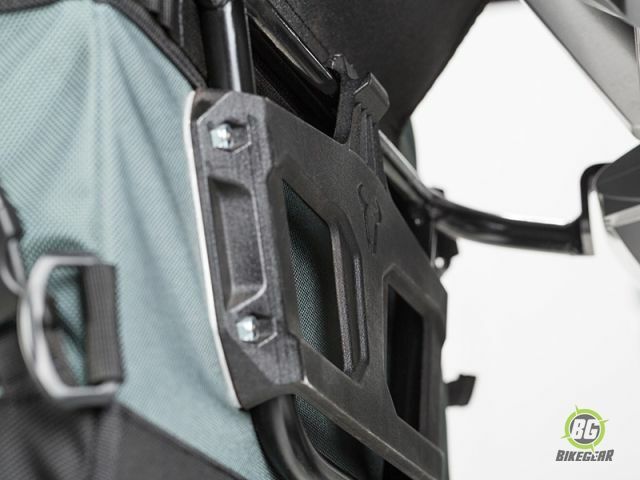 Unique integrated ,semi-rigid ABS honeycomb core (for easy packing and extra protection) ensure the panniers retain their shape. Waterproof Inner bags are removable when you reach your destination. Saddle bags can therefore remain on the bike. Daisy chains on outer edges of bags are ideal for securing additional items e.g. Fuel cells or water containers. 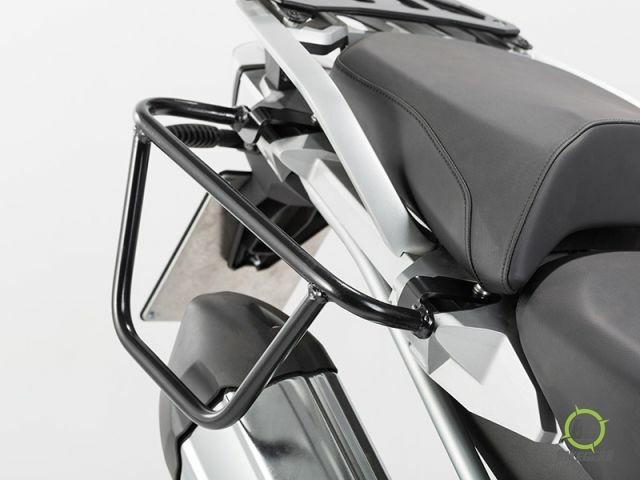 Includes custom luggage racks designed specifically for the BMW R 1200 GS 100 LC. 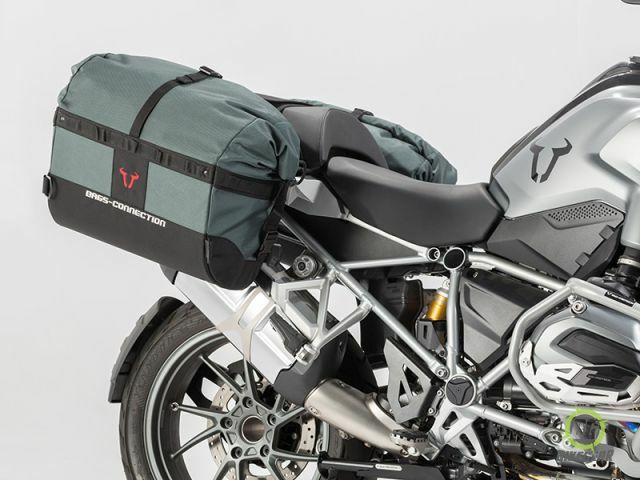 (For the GS1200 Adventure please see the Dakar Freedom bags  which can be used with the standard OEM pannier frames). Weight is positioned closer to the center of the bike – both front-to-back and side-to-side – which instantly improves off-road handling and performance. Does not restrict movement, safety or comfort of pillion passenger. Simple to fit thanks to the unique integrated SW Motech mount system. 2 Dakar BMW Motorcycle Saddle Pannier Bags. 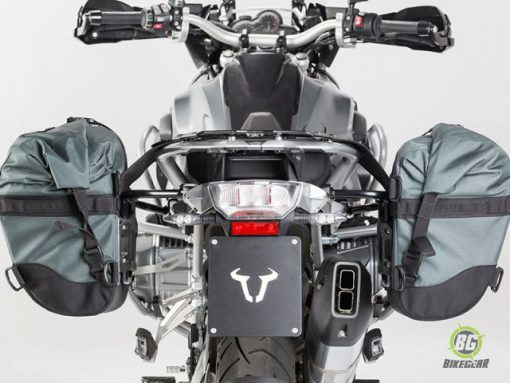 Model specific pannier luggage frames for the R 1200 GS LC.